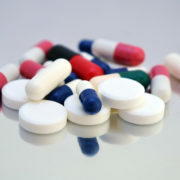 Prescriptions for painkillers in the United States have nearly tripled in the past two decades and fatal overdoses have reached epidemic levels, exceeding those from heroin and cocaine combined, according to the Centers for Disease Control and Prevention (CDC). I understand that years of unrelenting pain can cause even the most stoic patient to look for any relief, no matter the risk, pain meds, at least long term, only lead to more problems. Now before I get a flood of email from patients defending their pain pills, let me go on record as I have before – I’m not anti-drug and I’m not totally against pain meds. They can be a welcomed relief, a blessing for those in chronic pain. However, pain meds weren’t ever meant to be used long term. What is tragic is that so many are being put on these drugs, knowing that the sooner one starts on these meds, the more and stronger, they will most likely need in the in the future. Surely we should be looking at the underlying issues that are contributing to chronic fibro pain. For most, NOT ALL, the instigator is a condition known as allodynia, or low pain threshold. When this occurs (see in depth explanation in past blogs and in my Treating and Beating Fibromyalgia book), pain is magnified, no matter the cause. Failed back surgery, post surgical pain, neuropathy, aggressive autoimmune diseases, end stage cancers, the scars and after affects of trauma, and other causes of chronic pain all warrant a look at pain med therapy. And even fibromyalgia at times will only respond to pain meds. The problem with these drugs is that patients develop a tolerance for them over time and eventually they must more and more and stronger and stronger meds. I realize this isn’t the case for everyone, but it is true for the majority of patients who go down this road. The road can be long and treacherous as these drugs take their toll on a person’s mental and physical health. The scary thing about these meds is that more and more are being prescribed each year, over 92 million prescriptions last year alone. 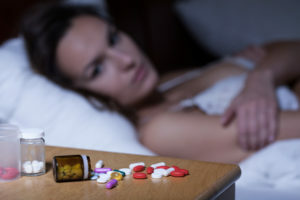 My fear which has come true, is that more and more fibro patient, who have failed to respond to the mostly worthless “fibro drugs,” are being prescribed pain meds too soon and too often, by traditional doctors who treat symptoms, not causes. There are, no doubt, an army of drug reps calling on doctors with samples and trinkets-pads, pens, coffee cups, free dinners, and trips, all to promote the SAFETY and effectiveness of long-term pain meds. In mainstream doctors defense, they want their fibro patient’s pain to better and the only thing they know to do is recommend pain meds. This is especially true after realizing the hype about other so called “fibro drugs” is fools gold, they don’t work. Pain is a symptom. In the case of fibromyalgia the cause can be usually traced to allodynia or a low pain threshold brought on by poor sleep, low serotonin and other stress coping chemicals. The only way to reverse the symptoms of fibromyalgia is to treat the cause-poor health. Getting healthy from the inside out, finding the causes and then correcting the cause(s), is the only way to beat fibro. If caught early enough, fibro can be reversed and without life robbing drugs. 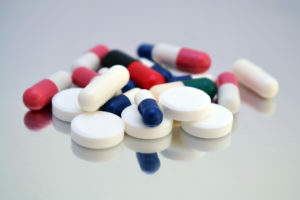 Pain medication is certainly one option for managing pain, one used by a growing list of doctors and their fibro patients, but often leads to more symptoms and drugs. 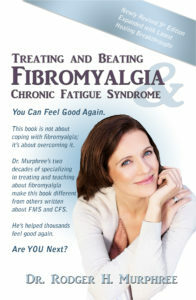 For a full and thorough explanation of what you can do to lessen your pain, raising your serotonin levels with 5htp, pain busting SAMe, deep restorative sleep, leaky gut, food allergies and pain, and other pain correcting therapies, please read my book, Treating and Beating Fibromyalgia and Chronic Fatigue Syndrome: www.getfibrobooks.com. I realize that the information below may seen simplistic to those on heavy doses of pain meds and or who are suffering with life draining pain on a daily basis. But, sometimes the simplest things can make a difference. Any fibromyalgia patient can tell you that pain, stiffness, and other symptoms are worse on some days than others. By having a pain plan in place, you will be better prepared to face those more painful days and not be caught off guard by them. It can be tough to not get discouraged when the pain is bad, especially since there is no cure for fibromyalgia. Lifestyle changes, muscle relaxing Epsom salt baths, massage, chiropractic, acupuncture, supplements, exercise, and other regiments can provide relief, but they do not provide a cure. I believe correcting the biochemical problems yields the biggest returns on pain reduction. However, when your fatigue and pain levels are at their highest, your mental state is not as focused as it normally is. This is why it is important to have your pain plan in place before your pain levels reach their highest. Having a written and visible list of your coping options available is one of the best strategies to keep your pain and fatigue from spiraling into something worse. Avoiding negative self-talk keeps you in a better state of mind. Our words really do manifest and create our world and those who focus on their limitations will rarely move past them. It takes practice to turn your negative thoughts into positive ones. Writing out positive affirmations and sticking them on your mirror and refrigerator reminds you to avoid telling yourself “I can’t,” “I have no control,” and “this is pointless,” because, none of these are true. Often relaxation feels like something easier said than done, especially when you have fibromyalgia and/or CFS. Set aside a specific block of time every day that is designated as relaxation time. Relaxation and sleep are two different things. Relaxation is usually done on purpose and for some it is much easier than for others. Some of the techniques that can help you learn to relax using meditation, visualization, deep-breathing exercises, and progressive muscle relaxation. With practice, you will figure out which technique is best for you. On days when your symptoms are especially bad, it is important to use your energy wisely. Prioritize the tasks you need to accomplish and decide which ones can wait. You will want to pace yourself and take frequent breaks. Try not to stress out over the things you need to accomplish. 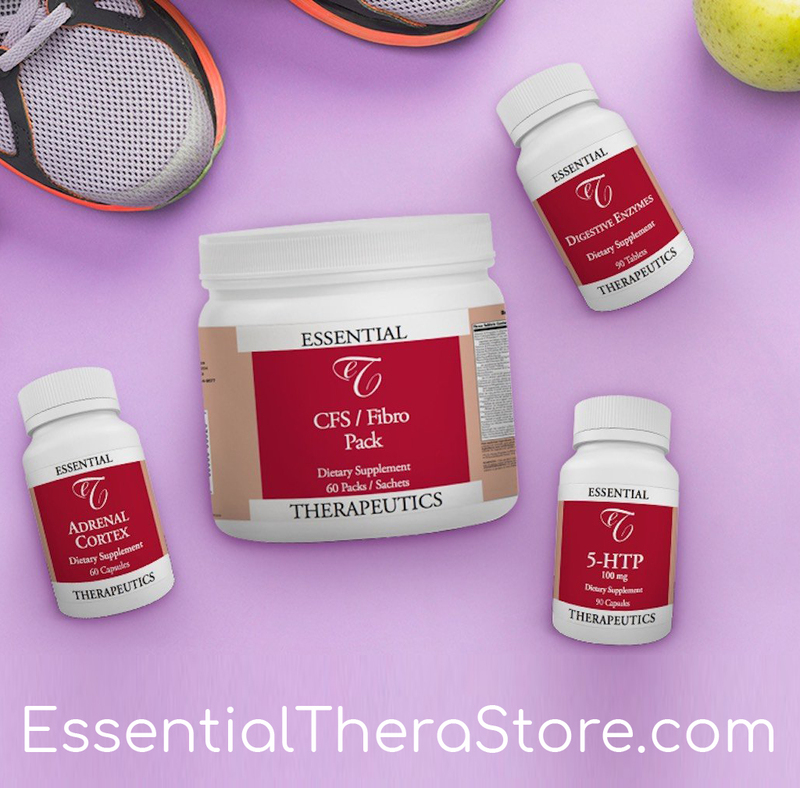 Stress tightness your muscle and this will amplify your pain. Remember that the energy you have needs to last you all day, so do not overwork yourself. Provide yourself with plenty of distraction for your pain days. Have a stack of books and your laptop loaded with movies. The more involved you can become in the story line, the more likely you are to ignore the pain, or at least make it less apparent. You can also hang out with friends and if you are up for it go to your favorite park or museum. Try to have a few of these activities on your list ready to go. If you are like many of my patients, talking to someone about what is going on with your body can be more uncomfortable than the aching muscles. This is a bad habit and will make things worse in the long run. Talk to a friend or family member when your pain gets tough. If you don’t think they would understand, support groups are available. Avoid any group that focuses on the pain and misery and look for one that is focused on living your life to the fullest with fibromyalgia. If you need help, ask for it. While you may want to keep taking on the world, there are limitations that come with the fibro territory. Enlist the help of your family members for things such as laundry and meal preparation. You do not need to give up all of your tasks, but be willing to give up some of them. Community resources are available that will help you find people to do your yard work, grocery shopping, and many other day-to-day errands. Most of these resources are free to inexpensive so there is no reason not to use them. Like most things in life, it takes practice to be able to use these skills every time. Having a premade list will remind you what your options are. The more you use them, the better they will work. Fibromyalgia is a difficult disease to live with, but it does not need to be impossible. I encourage all of those living with fibromyalgia to utilize every available opportunity to find out which ones work with you, your pain level, and your lifestyle. I totally agree with the issues associated with pain medications. I am a 41 year old female and have been “suffering” with fibromyalgia for almost 20 years. I have noticed a great decline in my health, mental clarity and energy. I’m not the same women I was! I however deal with the pain every day “without any pain relief or medications”. I don’t want to be a zombie, or become addicted to a narcotic. I’m not going to lie, I am becoming desperate and wonder if I’m causing more damage by keeping my body in a state of inflammation. I need direction as to what could help. I also have a thyroid condition, and have had a major increase in hair thinning and loss. I have been dealing with this condition and Now much worse. Three falls in a year. And now have the thyroid nodules that keeps increasing. But focus on activities that are positives and use a nonprofit I found as a driving force and as a strength to fall back on. I want to register to listen and possibly comment/have a question on tonights Webinar. I hope that where I clicked I am registered? Thank you. I will be downloading your Fibro Questionnaire to send you. I am sure that I want to do a telephone consultation with you, as I have had Fibro since the early 80’s! Thank you. The Treating and Beating Teleconference is each and every Tuesday night. The call in number is 218-844-1930 and access code is 6531405. I am listening to your conference tonight and am going to read your book. However, I am in distress as I am trying to come off of Butrans pain patch and Norco. I’m on day five and quite miserable. I am hurting all over, tingling and heaviness in my arms and my nerves are shot. My psychiatrist also changed my antidepressant from Prozac to Brintellix, Deplin,and Vyarin last week. I don’t know what to do to get through this. Any suggestions would be very welcomed. I do not want to be on narcotics the rest of my life but have got to get some relief as this is no way to live! I am only 47 – diagnosed with fms 5-6 years ago. Thank you in advance! With Fibromyalgia, Covering Symptoms Only Leads To More Symptoms Could a High Fat, High Sugar Diet Contribute To Fibro Fog?